Time is flying by and in less than a month I will be in Sweden again! One of the most important learnings and also one of the things I remember the best from the very first of the trainee seminars in Oslo is the power of reflection. Make the most of your learning experience by reflection upon what is going on around you. With only a few weeks left in India it is the perfect time to reflect on what I have learnt here and how that will help me going forward, basically looking forward by looking backwards. 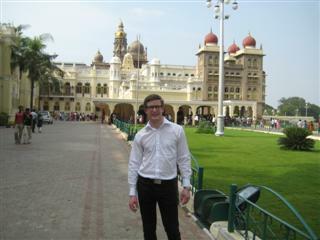 In April I came to India with a lot of anticipation for what half a year in India would be like. Since then I have run three different projects, seen two of my managers quit and learned how to blend in (at least to some extinct) in an Indian work place. On top of everything going on at work I have also gotten used to the Indian culture, the food and not least the traffic. No longer do I find cows in the street that weird :-). What I come back to over and over again is change and the importance of accepting, adjusting to and pushing for it. All the projects I have run has basically been implementing change. Around me, I have had to adapt to a changing environment, managers and colleagues coming and going. Only if you can cope with change, will you be successful. Secondly I would say that drive and energy is a success factor. A mindset of everything is possible and a strong will to achieve a goal isn’t enough. Without a drive and push to actually achieve what you have set out to do, you likely won’t. It’s about never giving up. To summarize my learnings I would say that it’s all about attitude and not competence, and should it be about competence, then all you need to do is learn. 🙂 All those situations I have had to understand and persist through will definitely help me in my next module in Stockholm. 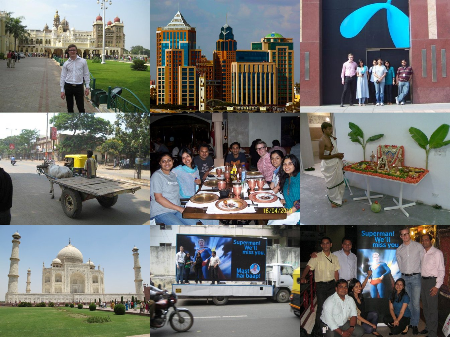 In october I’m beginning my last six months as a trainee in the Channel Management team with Telenor Consumer. That is going to be a very exciting half year. Below are some pictures from my recent vacation to Malaysia and Singapore. In Kuala Lumpur I meet up with Gabriella who is trainee with Uninor in Delhi and with Kristina who is a trainee with DiGi in KL. We had a great week together. Malaysia and Singapore was quite the experience and very different from India. Kristina, I and Gabbi at the DiGi (Telenor Malaysia) office to the left and me in Singapore to the right. India never stops to amaze me. During the last few weeks I had the opportunity to explore Kerala, the southwest most state of India, start working with a new group of people at work and celebrate my birthday Indian style. All memories for life. Before coming to India I had a very simplified view of this country, for even though it is a country I have come to realize that one must think of it more as a continent. My vacation to Kerala, one of the smaller Indian states on the southwest coast of India, opened up yet a new world within India. The nature is greener than I have ever seen anywhere before, yet another language apart from English and Hindi is spoken and the culture seem to be slightly different, may it be because Kerala has the highest literacy rate of all of India, at almost 100%? Anyhow I had a great week in Kerala, seeing how tea is made, travelling the backwater channels along the Arabic Sea coast and relaxing on the beach of the Arabic Sea, all in all a great break from intense work. Tea bushes in Munnar and Chinese fish nets in Cochin, both in Kerala. House boat and backwater channel ferry, Kerala. Indian cab and a lit Mysore palace at night.